Education and qualifications open up career opportunities, but real progress in your career doesn’t come from being better qualified, it comes from practical achievements made on the job, i.e. by YOU, the individual, successfully delivering on YOUR role requirements. As an employee or contractor, your ability to ‘deliver results’ determines your market value, and if you are a business owner or senior manager, attracting and keeping the most talented, highly valued people in your industry working for you is a major requirement for building a successful career or organisation. One way of keeping the best talent is by promoting high achievers into leadership positions. This of course is very logical and talented people are naturally attracted to organisations that reward good work with higher leadership responsibilities, career opportunities and better salaries. But here’s the catch. When high achieving results driven people are promoted into leadership roles, they have a big adjustment to make, because the measures of their success change. As an employee your success is measured by being an above average ‘doer’, but as a leader it hinges on your ability to empower the people working under you to become more successful, and this characteristic, more than anything else, is what determines your success or failure as a leader of the department(s) you manage. That’s why so many of the world’s most successful companies choose to empower developing leaders with executive leadership training. Marshall Goldsmith, one of the worlds most recognised authorities on leadership, coined a very apt phrase to describe the real challenge of leadership. “For most leaders, the greatest challenge is not understanding the practice of leadership: It is practicing their understanding of leadership.” In other words, the success of leaders depends on their practicising the ‘enabling competencies’ of leadership, and these enabling competencies are, generally speaking, not the same as those required to be a successful individual employee. 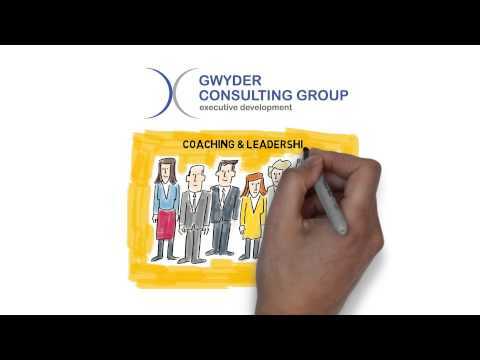 At Gwyder, our Executive Leadership Development Program teaches the enabling competencies of successful leadership, which helps emerging and established leaders lead more effectively, and in many cases we find that the productivity of entire departments is raised, simply by us working with their leaders to better equip them to lead effectively. Our Executive Leadership and Development Program includes learning about the ‘self’ and the impacts our ‘ways of being’ have on others, and how these ways of being either empower or dis-empower those working with and under us. The training is extremely practical, it is customised to meet the specific challenges an executive or leader faces in their day to day role, and 90% of learning is done on the job, so your important people remain productive, while they learn how to be even more productive. To help you understand how our executive leadership program empowers your executive team, we have produced a report entitled “The Secrets of Effective Leadership,” which can be downloaded here. We are also available to meet with entrepreneurs, executives and emerging leaders, to discuss the specific challenges they face in achieving their career or organisational goals. Simply call or leave an email for Kerry Little, our principal executive coach, and he will answer any questions you have about our executive leadership training programs, and how they empower your leaders, to enable your organisation to more profitably achieve its goals. Back to home.